For small groups or large parties, we've got a great range of options for you to choose from. These options are available to book from November 23rd 2017. 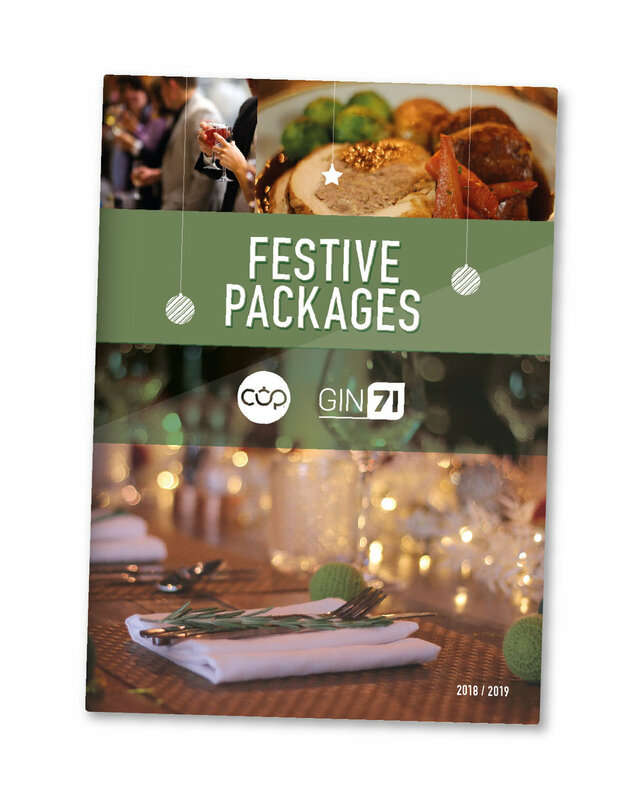 Click the button below to download our Festive Brochure, which features all of the different options available this year at Cup Tea Rooms and Gin71. Booking for less than 8 guests? To book a group of up to 8 guests, simply use our online booking service or call your branch directly. LOOKING FOR AN EVENING BOOKING? All branches of Cup Tea Rooms close at 5pm. If you'd like to book something later in the evening, please visit our sister business Gin71 for more information. Which branch are you interested in booking?